You’ve finally moved all of your belongings into your new Breckenridge home. It’s a huge accomplishment and the beginning of an exciting chapter in your life. I love seeing my clients moving into the real estate they have just purchased. It marks the culmination of what can be a long search. However, now that you’re surrounded by piles of boxes, it’s understandable that you might feel overwhelmed. That’s why I want to use this blog to give you answers to the FAQs about how to start getting settled. The first thing to remember is that even though you might want to dive into those boxes and find places for everything right away, taking the time to plan can make all the difference. Let’s begin these unpacking tips by systematically going from room to room with ideas you can consider. There’s a lot that happens in this part of the house. For that reason, maximizing the available space is extra important. Before you begin placing items everywhere, figure out what you need on a daily basis and what can be put aside. Appliances that you rarely use can be stored in the least accessible cabinets or even the basement. You may also lay any spice jars on their sides in a drawer near the stove, labels facing up, instead of stacking them in a cabinet. That alone can be a real space saver. Knives should be positioned closest to the sink, where food preparation mostly takes place. Then you can put cooking utensils such as spatulas and whisks near the stove. Long, flat kitchen items, including baking sheets and cutting boards, are best stored upright so that they’re easier to pull out when needed. This is another essential room that deserves to be planned out with care. To ensure your bathroom is set up as conveniently as possible, put a towel rack on the back of the door, if one isn’t already there. You may also think about mounting a shelf above the door for any extra toiletries and other miscellaneous supplies. Small items such as soap or even dental floss can be put in labeled baskets so they don’t get lost in the mix. Also, if your bathtub doesn’t already have a shower caddy, you might want to pick one up. It’s great to have all of your shampoos and soaps in one place that’s easy to reach. Your entryway and living room are generally not used for storage. Yet clutter and disorganization can happen in these areas on a regular basis. That’s why a stylish and logical solution could be multifunctional furniture. A storage bench is perfect for the foyer. You can open a hinged seat and place items such as shoes, bags and other family possessions so that your doorstep isn’t a mess. Similar to these kinds of benches are storage ottomans, which can be ideal for the living room. They are able to keep items well-organized such as DVD cases or your array of remote controls. This space in your house can be easy to forget. It’s common to use the area for storage and leave numerous belongings scattered inside. However, there are some simple things you can do to free up space and make your garage just as organized and planned out as the interior of your home. Consider installing racks on the walls for anything that can hang from a hook. You might also take tools such as shovels or rakes and group them together in one corner so they’re easy to get whenever necessary. Shelving is a great solution, too. It will give you room to store small items that could get lost among other belongings. Most importantly, remember there isn’t a big rush to unpack everything all at once. Enjoy the experience of making your Breckenridge real estate your own. 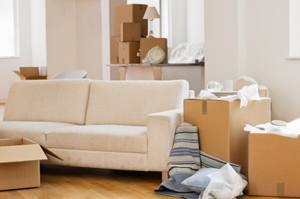 By giving yourself time to figure out the best way to get the most from your new space, you won’t have to reorganize everything in the near future. If you’re looking to buy or sell real estate in Breckenridge, or throughout Summit County, I’m happy to provide you with helpful pointers as you begin the process.